I know I have a rebel hair which needs special are. 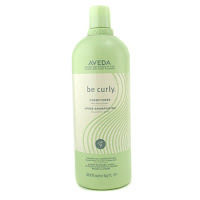 One of the products I like is Be Curly conditioner from Aveda. This organic hair product defines curls and makes the hair look healthy and shiny. I also like the citrus smell; it’s a combination of lemon and orange notes. I definitely recommend it for frizzy hair.